Eerie lunar landscape on the shores of New York City? Well this is New York City not the lunar dunes - and it is real, not a projection of future. 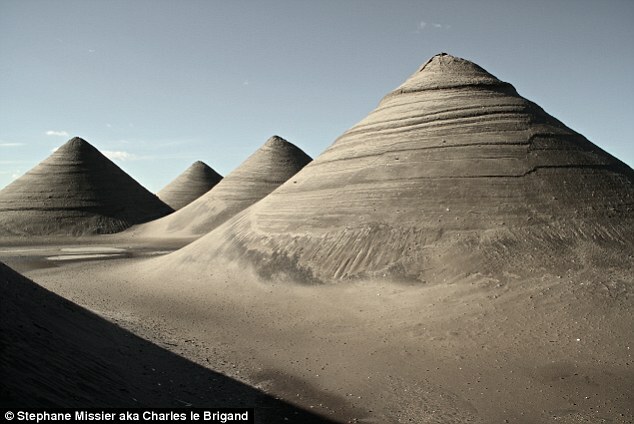 These dunes have formed after piling up sand acculmulated from the devastated streets of The Rockaways, Queens - these conical dune 18 in number stand on the parking lot of Jacob Riis Park - causing it to resemble an eerie lunar landscape. It may be added that 'Sandy' battered the little peninsula of Rockaway that juts between the Atlantic Ocean and Jamaica Bay.